This chapter is a prelude on Cayce's meeting with Baranov. This chapter narrates Cayce's journey to Baranov's place, in Bournemouth, together with Ngemi, they rode a train and drove a Vauxhall Car provided by Ngemi's "Tory Rastafarian" looking friend. Here is a video clip showing the a Vauxhall VXR8 - Sleek. "The camps. Herzstark in Buchenwald, surrounded by death, by methodical erasure, by an almost certain fate. He continued to work. In the end, the camp was liberated. He walked free, never having abandoned his vision of the calculator. Hobbs honors that triumph, that escape." 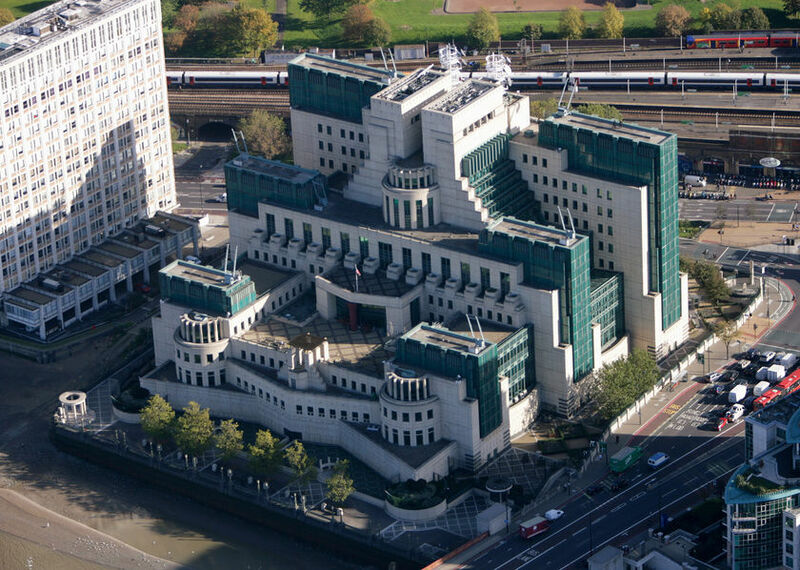 The Secret Intelligence Service (SIS), colloquially known as MI6, it is the United Kingdom's external intelligence agency, part of the country's intelligence community. Under the direction of the Joint Intelligence Committee (JIC), it works alongside the Security Service (MI5), Government Communications Headquarters (GCHQ) and the Defence Intelligence Staff (DIS). The website provides information about careers on the Secret Intelligence, The site offers a tour from a very wide range of backgrounds that encourages careers in the global intelligence field. You can also apply online and check on the possible job options. Information about legislation and accountability is also provided. Before Cayce was able to meet with Hobbs, she emailed Voytek to ask when Ngemi was going to meet up with Baranov. Voytek immediately replies to Cayce's email telling her that he's off to Waterloo train station to go to Bournemouth at 8:10. Then they exchange a few emails and Cayce decides to go to Waterloo to meet up with Ngemi under this four-faced Victorian Clock. Could you imagine with just few short emails one could instantly get information from another person. Cayce wasn't expecting a reply from Voytek because she sent it very early in the morning and she hasn't gotten any sleep. The use of email is a very powerful tool/ medium of communication which is seen throughout various chapters in this novel. While Cayce was waiting for Ngemi, she decides to buy a tabloid, a bacon sandwich and a Fanta. Fanta Fanta?!? When Fanta come out of the Philippines, I loved it most especially the grape and lime flavor. It wasn't indicated whether what flavor Cayce got because she noted that it had a nasty edge to it. I could remember buying Fanta in a nearby canteen close to my grandparents' factory. When I was in kindergarten or prep, it was something I awaited for every time I went there with my parents. I never knew why it ran out of business. Am I only one of the few who loved the product? Did most of Philippines share what Cayce thinks about the drink? Fanta is a global brand from The Coca-Cola Company. It has 70 flavors worldwide which is only exclusive to certain countries. I tried to look for a Philippine Fanta Bottle and the search led me to a Root Beer Flavored Fanta being sold on Ebay $24.99. This can also be related on how Hobbs sells his Curtas. Ngemi notes that the market of the Curtas are rationalized by the internet. Hobbs sells them on "eBay" and as a matter of fact he's very adroit and skillful by using the site. Another image of Fanta products in Thailand caught my attention because it was similar to the packing of Royal Tru Orange, Dalandan, etc. It's related to the concept of Recontextualization. On their way to Bournemouth, Cayce "surprisingly" feels Ngemi as a comforting presence. It was mentioned in class, Cayce feels this thing called "White Guilt." This is what White people feel after all the racial treatment they've done on other race or "colored" people, past or present. In addition, this concept also points that the White people have a tendency to fear non-whites. I found a video blog on youtube which discusses white guilt and racism. Cayce senses oddness as she is led by Ngemi to a greengrocer's shop when they arrived at Bournemouth. She somewhat labels Ngemi's friend as a Tory Rastafarian looking guy. This description is quite paradoxical or contrary because Tory is term used for the conservative party in UK. While Rastafarian is a religious movement which believes the Haile Selassie I, the former Emperor of Ethiopia,is the reincarnation of God or Jah. (Jah Rastafari) This religion is related to the rejection of Western influence, believes in Jesus Christ and many more. It predominantly emerged in Jamaica and it is somehow related to Reggae. In my opinion,Ngemi's friend can be observed as a conservative Rastafarian. Actually it wasn't mentioned in the novel whether he's Rastafarian or not. When Cayce enters the Vauxhall, she notices the odd smell of the car and comments that it has an alien car freshener which has an African scent to it. It can be seen how racial Cayce's remark was. We can also link this to the oddness seen with the type/brand of the car of the guy. I think we could also heighten the oddness if we pair the Alien air freshner which has an African scent to it, if Reggae music was being played in the car. This is just a cool reggae music video about Barack Obama sung by two Rastafarian dudes.